These carrot with fennel, ginger and lemon are incredibly aromatic and exhibit a bit of a floral taste. 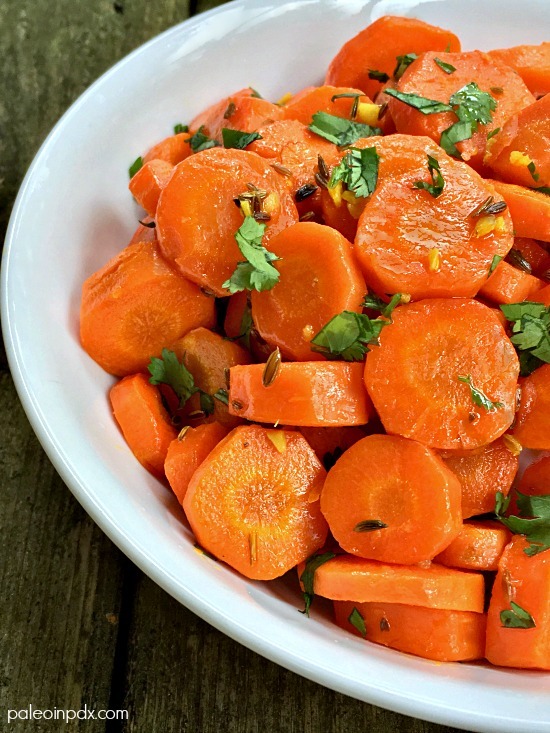 The combination of fresh lemon juice, crushed fennel seeds, and ginger create a beautiful flavor with the sweetness of the carrots. The flavor is definitely not for everyone, but if you like all of these ingredients, you’ll probably be a fan. If preferred, you can always add the ginger sooner to the pan to mellow it out more or opt for a lesser amount. I personally like the the fresh, vibrant ginger taste, but know it can be overpowering for some. Also, make sure you don’t skip the step of crushing the fennel seeds. This allows the fragrant oils to be released and ultimately, creates more flavor. For those unfamiliar, fennel has a slight licorice-like flavor and is subtly sweet. It’s also a flowering plant in the carrot family, and native to the Mediterranean. Meanwhile, combine this side dish with green veggies and protein of choice, and you’ve got yourself a complete meal. I even enjoyed adding a couple scoops of these to my big salad bowl I eat at lunchtime. It was delicious and a nice way to mix things up. P.S. – Tomorrow is my birthday and I’m feeling great about turning 33! It’s my auspicious year and a very exciting one to boot! Melt ghee or coconut oil in large pan over medium heat. Place the fennel seeds on a cutting board and slightly crush using heel of hand on the back of a chopping knife. Add to pan and toast 1-2 minutes, or until fragrant. Next, add the chopped carrots to the pan, along with the sea salt and lemon juice. Toss well and reduce heat to medium-low. Cover and cook 7-8 minutes or until carrots are tender, stirring occasionally. Lastly, add the fresh ginger and stir well. Cook for another couple minutes. 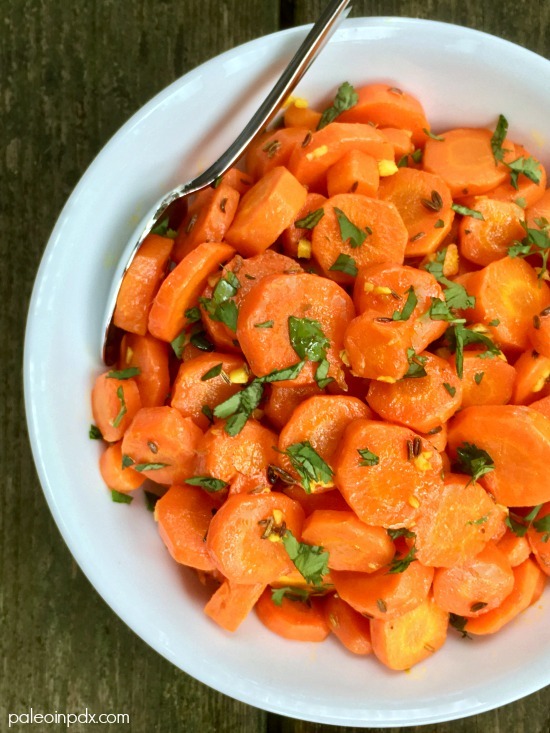 Remove from heat and garnish with fresh cilantro, if using. Serve. *Note: if you’re not big on ginger, you can add it sooner to mellow out the flavor or opt for a little less. Here’s to hoping you celebrate today as well, as fully and as HEALTHFULLY as you live your Paleo Lifestyle! Thank you! I appreciate the birthday wishes and kind words!